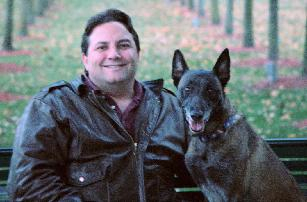 Michael Burkey is a professional dog trainer, behaviorist and owner of MichiganDogTrainer.com, a highly successful dog training company whose aim is to promote peaceful relationships between pets and families by providing dog training solutions enabling them to experience new adventures together. Additionally, Michael is an expert trial witness, certified Canine Good Citizen (CGC) evaluator for the American Kennel Club (AKC), former Police K9 Handler, Search and Rescue (SAR) K9 Training Director and SAR K9 Handler, obedience and rally competitor and social worker. Dog training is a complex science and art requiring knowledge of behavioral science and learning. You can rely on Michael’s experience, teaching methods, and integrity. He can be contacted at info@MichiganDogTrainer.com or 734-634-4152. I am interested in your board and train program. I have viewed your website but did not see any prices.